Why? 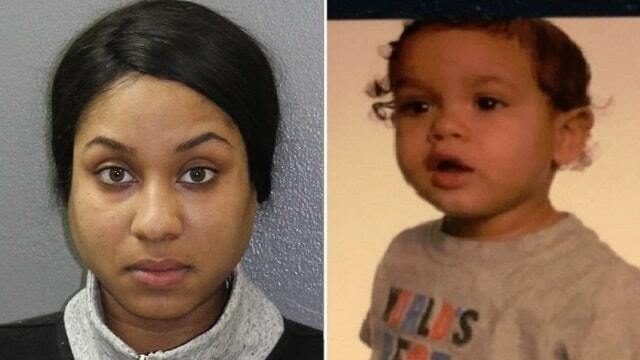 NJ mom beats toddler dead for not listening- chops body parts and reports him kidnapped. 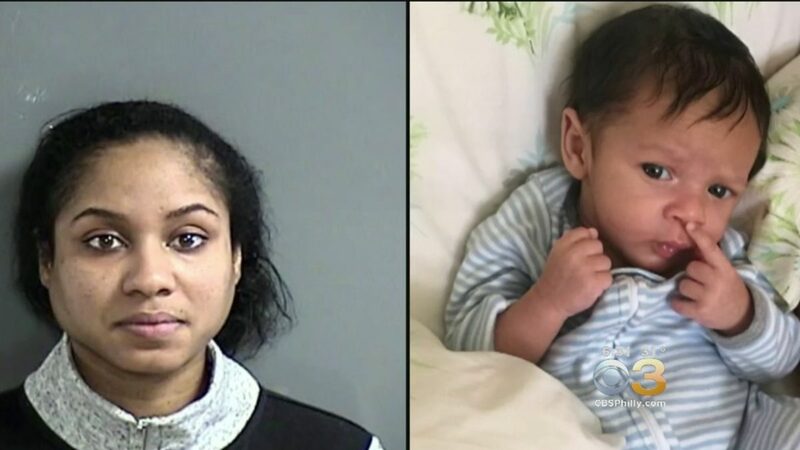 Pictured, NJ mother, Nakira Griner and her 23 month old son, Daniel Griner Jr.
Nakira Griner a Bridgeton, NJ mother confesses to beating her toddler son, dismembering his body parts and reporting the boy kidnapped in cover up. A NJ mother of two has confessed to fatally beating her two year old toddler son after the boy ‘wouldn’t’ listen or eat- before dismembering his body and reporting the infant kidnapped in a bid to cover up the murder. 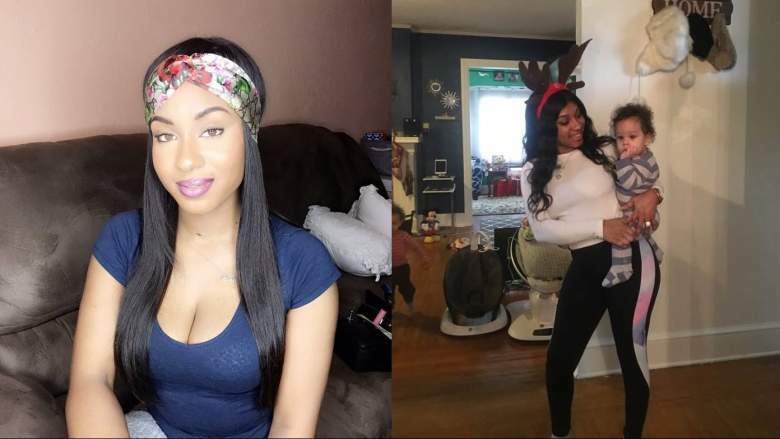 Nakira Griner, 24, upon her arrest was charged with first-degree murder; endangering the welfare of a child; desecration of human remains, and tampering with evidence. Cumberland County prosecutors said the Bridgeton woman initially reported her eldest son, Daniel Griner Jr. having been violently abducted just after 6.30pm Friday. A response team began a search aided by city and state police, prosecutors, and bloodhounds from New Jersey State Park Police. The child’s burned and dismembered remains were found in a purse and garbage bags at around 3am on Saturday, buried under a shed in the yard of Griner’s home on Woodland Drive, reported the Vineland Daily Journal. When questioned by police, Griner admitted that she hit Daniel because he wouldn’t ‘eat nor listen to her’, according to a criminal complaint cited by NJ.com. The complaint said Griner admitted striking the child so hard that she left bruises on his face and also said he fell down a flight of stairs. After striking the child, she didn’t call for help, but placed him in a stroller and left him alone. It wasn’t immediately clear why the mother didn’t seek external recourse. Griner told police responding to the abduction report that a stranger had attacked her while she was walking with her toddler in a stroller and her infant son strapped to her chest along Atlantic Street, according to the complaint. She said her assailant kicked her and she fell to the ground as the attacker continued to kick her in the head and right side. When she looked up, the stroller and Daniel was gone, she told police. Officers soon found the stroller, containing only a pair of red sneakers, a few blocks away. Nakira Griner and Daniel Griner Jr. Images via Facebook. During questioning, the mother’s story began to change, authorities said. Her attacker didn’t demand money or take a $5,000 ring she was wearing, Griner told police. As police sought surveillance camera footage, her story about where the assault occurred changed to another street. No video could be found to support her claim and Griner agreed to take a polygraph, which she failed. Based on the abduction claim, police launched a search for the child that included city police, Cumberland County Prosecutor’s Office and New Jersey State Police. The NJSP brought bloodhounds along to help. The boy’s remains were found around 3 a.m.
Pictured, Nakira Griner and Daniel Griner Jr.
Nakira Griner Facebook post: In love with husband and two beautiful children. Family friend Crystal Castillo told nbcny.com that she had not seen the child since before the holidays and was shocked about the allegations. Griner is scheduled to appear in court on Thursday for a detention hearing. A co-worker of Griner’s husband of two years, Daniel Griner Sr, has launched a GoFundMe campaign to help the man, whom she described as a registered nurse working two jobs. As of Monday early evening, $4, 500 has been raised. In Griner’s final entry on her Facebook page, she commented Thursday about her love for her husband. ‘In love with him that’s why we have two beautiful children,’ she wrote. The Griners welcomed their second son in May of last year. Nakira Griner. Image via Facebook.